In this case, the claims administrator addressed the authorization to the requesting physician, but left the ‘Provider’ box empty. Presumably, if whoever provides treatment is not included in the MPN, the claims administrator will deny payment. When a claims administrator sends authorization to the requesting provider, the deal is done. No circumstance can bar payment for authorized services rendered by the provider who requested the authorization. Authorization means "assurance that appropriate reimbursement" for the treatment specified will be paid. The California Labor Code provides that once an employer (or its insurer or URO) authorizes medical treatment, that authorization shall not be rescinded or modified for any reason after the medical treatment has been provided based on the authorization, even if the employer later determines the physician was not eligible to treat (e.g. was not an MPN provider). Under the UR regulations, treatment is "authorized" when the decision to approve the RFA is communicated to the requesting physician. That would seem fairly cut and dry. But claims administrators regularly — non-compliantly — make authorizations conditional in this manner. Even worse, claims administrators deny bills when the doctor provides treatment without proof of being in the MPN, even after the claims administrator authorized the treatment. When a claims administrator denies payment to the requesting physician for authorized services rendered, this act of noncompliance cannot stand. The provider should fight back by immediately requesting a second review appeal. If the second review appeal fails to produce proper reimbursement, the provider should file a lien with the Workers’ Compensation Appeals Board (WCAB). Since the dispute regards the claims administrator’s obligation to pay, rather than the amount owed, Independent Bill Review (IBR) is not appropriate. By qualifying the authorization with the condition that only providers from the employer’s MPN may treat, the claims administrator shifts responsibility to the provider. If the treating provider is not the requesting provider, it’s on the treating provider to ensure that they’re included in the MPN, or forfeit reimbursement for a medically appropriate, authorized service. As we’ve pointed out before, providers don’t always know whether or not they’re part of a given employer’s MPN. California employers maintain thousands of MPNs collectively and may add or remove providers randomly from those MPNs. A provider may have no idea in which MPNs they’re included, or when. To ensure payment, the provider must investigate which MPN or MPNs the employer maintains (some employers have several), and whether or not he or she is included in any of those MPNs. The employer may provide a website for reference, as the authorization above shows, but it’s on the provider to confirm everything. Should the provider determine that he or she is not included in the employer’s MPN, what does the claims administrator expect the provider to do? Refuse to treat the injured worker? Refer the worker to an MPN doctor, delaying treatment? Accept non-payment, for a retrospective RFA? None of these options are reasonable, or acceptable. The question workers’ comp stakeholders have to ask is this: are MPNs accomplishing anything by limiting injured workers’ choices when pursuing care? The available data suggests not. If the savings MPNs produce are limited to helping employers wriggle out of payments for necessary, authorized treatment, that’s no accomplishment. It’s a scam perpetrated on providers and injured workers. 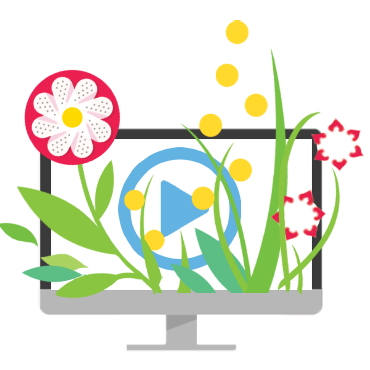 DaisyBill’s Work Comp Wizard includes our searchable directory of approved MPNs, as well as our ever-popular OMFS Calculator. Click the button below for a free trial, and see how much easier workers’ comp can be.